We offer complete hassle free service to our customers. We understand how tough that is to travel with children. We understand how hard that is for snow beginners to just get around in this beautiful yet furious weather. We are here to provide you everything you may need to make your holiday as enjoyable as possible. When you are coming to our shop to rent the snow gears, we provide a free ride from your accomodation to our shop. When you are ready to hit the slop, we will take you straight up to the lift area. ■ Lifts. ■ Your accommodation. ■ Shops. ■ Ski Slope. We rent out all the must-have accessories such as helmets, goggles and gloves. 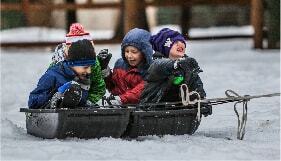 We even rent out snow boots and sledge for snow beginners! To avoid the exhaustion after a day out on the mountain, we offer a shuttle bus service from the ski slopes to our store or to your accommodation from 1:00 pm to 7:30 pm. Born in Sapporo in the Sapporo Olympic year, Yoshi started skiing when he was 3 years of age. When he was a student, he learnt basic freestyle skiing in naturally gifted snow paradise of Niseko with powder snow and bumps. He became a professional mogul skier thus coach when he was 23 and worked worldwide including New Zealand, Canada and Finland. 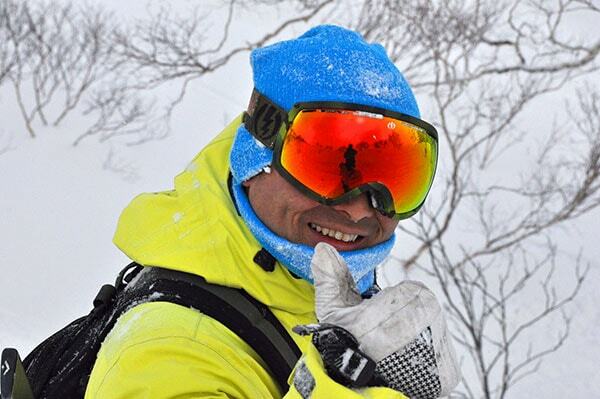 In 2003, after playing in Japan championship and Europe cup, he retired from his profession and came back to Niseko. 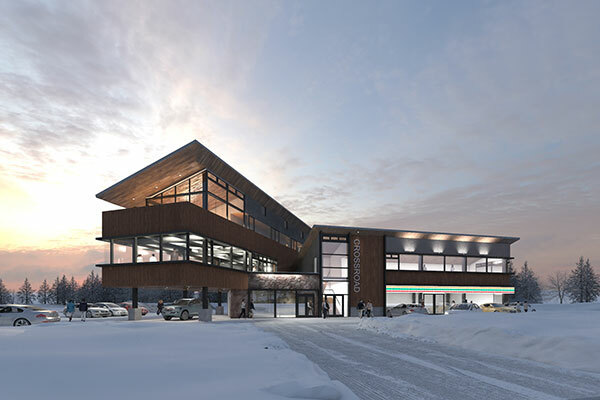 Since then, with his extensive knowledge and experience as a former professional skier, he's been working as an entrepreneur in Niseko operating ski rental shop, lodge and restaurant to welcome skiers from all over the world. In 2003, a former professional skier, " Yoshihito Tanaka" opened the first English-speaking ski rental shop in Niseko to serve non-Japanese customers. Ever since we opened the door, our hope for our customers hasn't changed over the years. Our hope is that every single person who comes to Niseko, whether it is an adult, a child, family, a group of friends, a beginner or an experienced, has comfortable and fun time in Niseko, and says, "I want to come back to Niseko". Through nature, the snow and with all the experiences in Niseko, we want our customers to truly feel the "Stunning Niseko". With that hope in our minds, we try our best to provide the most suitable tools and highquality service to make your holiday as pleasant as possible. Stunning Niseko for everyone. We continue to deliver services that are unpresented and beyond your expectations. Where does the shuttle service cover? Shuttle service provides lift from the Grand Hirafu Ski slope to the accommodations in Hirafu area from 1pm to 7:30 pm to those who are renting gears or taking lessons from our shop. Do you have a pick-up service from our accommodation to your shop? Yes, we do provide lift from your accommodation to our shop when you are coming to rent our gears and as long as it's in Hirafu area. This does not include commune between shops and accommodation while you are renting. Though, we do provide lift from the slope to your accommodations as a service. When returning the gears, you can simply leave the gears at your accommodation. 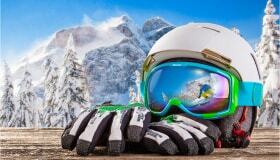 Is it possible to switch the ski gear to snowboard gear while renting? Yes, it is possible with additional fee of 1000 yen (limited to same grade). If I find the gear I rent doesn't fit well, is it possible to exchange to another one? Yes. It is free to change to another gear as long as it's in same grade and same category. If you want to change the gear to the higher grade, you can do so by paying off the difference. If I rent the gears for 5 days but use them for 3 days, will I be able to receive refund? Unless there is emergency or exceptional matter occurs (ex: injury), we do not give refund for canceling agreed period. If you pick us up to the shop in the morning and drive us back to our accommodation after skiing, how do I get my shoes and stuff back? Do not worry. We will deliver your belongings (ex: valuable items) back to your accommodation while you are out on the mountain. We have 2 shops in Niseko.